DTM Data Modeler is a CASE tool for database developers that supports both forward and reverse engineering. 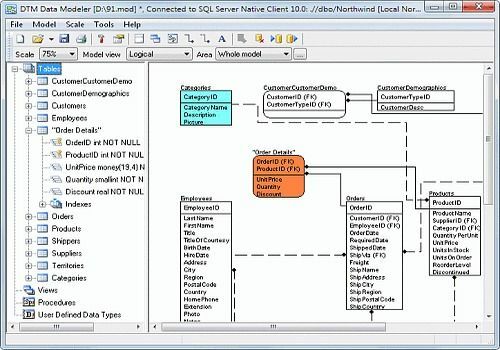 It is an easy-to-use tool allowing you to work both with logical and physical data models in the form of an entity-relationship (IDEF1X) diagram. The product is intended for database architects and developers and works with data sources via the ODBC, OLE DB, IDAPI or Oracle Call Interface, which means compatibility with all modern DBMS.